Hwang Pyong So (Hwang Pyo’ng-so’) is director of the Korean People’s Army [KPA] General Political Bureau [GPB]. As director he is responsible for the political management (personnel decisions, surveillance, patronage) of the DPRK’s conventional military forces as well as its political education and cultural activities. Hwang is also a member of the Korean Workers’ Party [KWP] Central Military Commission, the KWP Political Bureau, a deputy to the 13th Supreme People’s Assembly, a member of the Party Central Committee and holds the military rank Vice Marshal. Hwang’s ties to Kim Jong Un (Kim Cho’ng-u’n) for nearly a decade. After the death of supreme leader Kim Jong Il (Kim Cho’ng-il) in December 2011, Hwang emerged as a key close aide of Kim Jong Un’s (Kim Cho’ng-u’n). Hwang Pyong So’s official career began during the 1970s. There is little information available in open source literature about the official positions he held or in what party organizations in which he was involved. Given the organizational behavior of DPRK political institutions he has probably spent his entire career in OGD, successively promoted from cadre to instructor to section chief, etc., until his promotion to deputy director during the early 2000s. Hwang was appointed OGD deputy director around 2005. He regularly accompanied Kim Jong Il on guidance tours (inspections) from 2005 until 2007, mainly at KPA units. 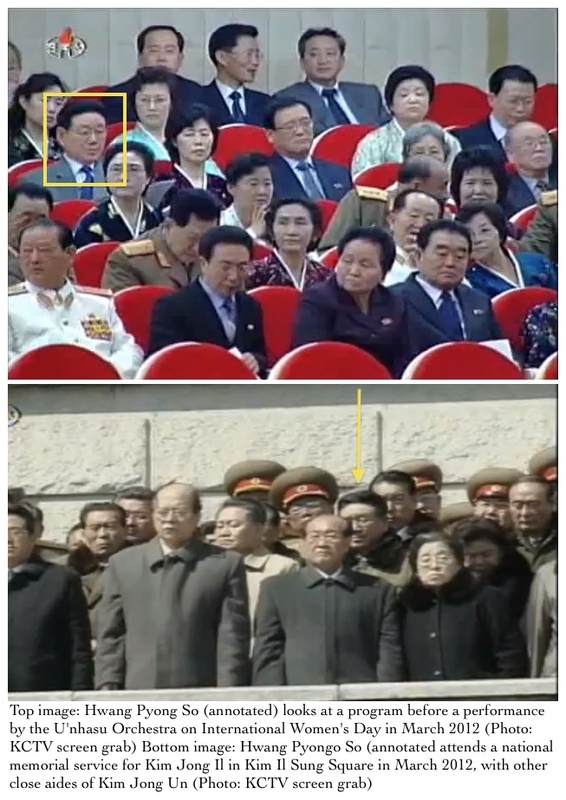 From 2007 to 2010, Hwang appeared irregularly in DPRK state media reports. In 2007 Hwang began his affiliation with KJI’s youngest son and eventual successor, Kim Jong Un. At the 3rd Party Conference on 28 September 2010 Hwang Pyong So was elected an alternate (candidate) member of the KWP Central Committee. In April 2011, Hwang was promoted to Colonel General (sangjang) by Kim Jong Il in a KPA promotions list issued on the 99th anniversary of the birth of Kim Il Sung. 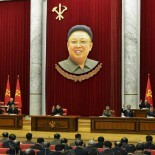 Hwang was ranked #124 on the National Funeral Committee formed after Kim Jong Il’s death in December 2011. From 2011 to 2014 Hwang Pyong So was one of Kim Jong Un’s close aides, serving as a gatekeeper and proxy between the supreme leader and several key organizations in the DPRK’s national security community. In his OGD position, Hwang received daily written and telephonic reports and policy documents, submitting these reports and documents to Kim Jong Un, then communicating the supreme leader’s instructions back to these security organizations. Hwang had broad powers over personnel decisions (appointments, promotions, demotions and dismissals) as well as investigations and account audits (conducted by the Ministry of State Security and various central party policy control offices). Hwang worked closely with the Guard Command, the KWP Machine-Building Industry Department, the Second Economy Commission, the KPA Strategic Rocket Forces, the Ministry of the People’s Armed Forces and other agencies and units responsible for WMDs, military industries and physical and political security. 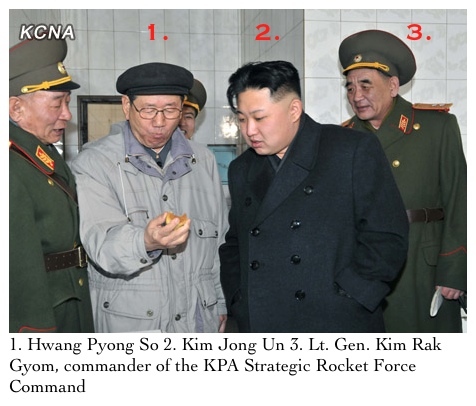 Hwang attended a joint field inspection by KJI and KJU of the Guard Command’s headquarters at KPA Unit #963 in 2011 and he was prominently seen in state media coverage of KJU’s inspection of the KPA Strategic Rocket Force Command in 2012. Given his formal position, as identified in state media coverage, and his public appearances Hwang most likely worked in Kim Jong Un’s personal secretariat serving as the primary, though informal, interface between the central leadership and the organizations or agencies under his purview. On 9 March 2014, Hwang attended voting in Supreme People’s Assembly elections with Kim Jong Un and other close aides to the leader. Hwang himself was elected a deputy (member) of the 13th SPA the same day. 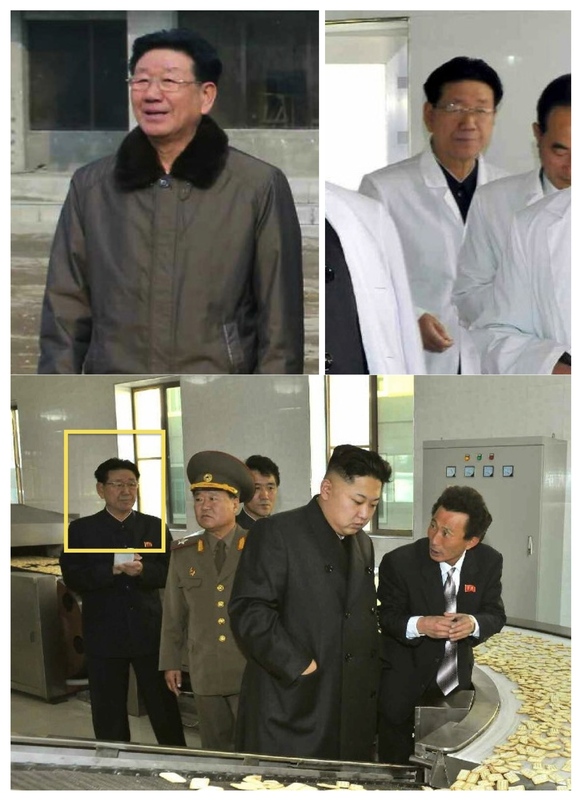 Hwang’s reported public appearances with Kim Jong Un during 2014 showed that he had become the most frequent member of the leader’s entourage during on-site visits and inspections. On March 21, 2014 Hwang was publicly identified as a “1st Vice” Director (or senior deputy director) in the central party, indicating his effective promotion to the upper echelon of the KWP Organization Guidance Department. He was promoted to four star-general (taejang) in late March 2014. On 26 April 2014 Hwang Pyong was appointed Director of the KPA General Political Department and elevated to the rank and title of Vice Marshal during a meeting of the Party Central Military Commission. Hwang’s effective promotion was publicized by DPRK state media on 28 April and his appointment as head of the GPD was publicized on 1 May 2014 when he presided over a banquet marking the opening of workers’ dormitories at Kim Cho’ng-suk Textile Mill in Pyongyang. Hwang is also a member of the DPRK National Defense Commission. On 2 July 2014 Hwang met with the leadership and members of a Russian military orchestra. This was the first public occasion in which he interacted with a foreign delegation as head of the GPD. Hwang Pyong So was born in 1946. He attended Mangyo’ngdae Revolutionary School and Kim Il Sung University. At KIS University Hwang was a classmate of Kim Kyong Hui, aunt of Kim Jong Un and sister of late leader Kim Jong Il. Hwang is reputed to have had close political ties to Kim Jong Un’s mother, Ko Yong Hui (Ko Yo’ng-hu’i). He is married and has adult children who work in the central party and foreign trade. Hwang is mild-mannered and affable and has a “protector” or INFJ personality.